Explore the critics evaluations in-depth, then head from Beckley to tour the C-Class inventory available at Mercedes-Benz Charleston in Charleston, WV. "With as many flavors as a fro-yo shop, the C-class offers luxury and performance in a tidy package." "It comes with an impeccably built interior, high-quality materials inside and out, upgrading and customizing options galore, and a variety of engine choices." "The 2018 Mercedes-Benz C-Class nonetheless leads its luxury niche with fabulous style and fantastic power and grip." "An excellent all-around performer, the Mercedes-Benz C 300 is by far the most luxurious car here while still offering serious performance credentials." The C-Class lineup is impressive top to bottom and comes with dynamic performance capabilities and exciting high-tech features. The standard engine is a turbocharged 2.0L four-cylinder that gets 241 hp and 273 lb-ft of torque. If you want to zoom around Huntington with more power, two other engines are available, including one that tops 500 hp. Standard tech includes a 7-inch display screen, dual-zone climate controls, a pair of USB ports, and much more. At higher trim levels the tech includes Apple CarPlay and Android Auto, cornering headlights, and a head-up display. Safety is also more advanced thanks to available features like blind-spot monitoring and automatic emergency braking. Critics and drivers agree that this is the total package. This already impressive model only gets better when you compare it to the Audi A4 or the Jaguar XE. 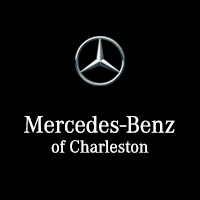 When you’re ready to form your own opinions, visit Mercedes-Benz of Charleston. Contact us in advance if you have questions and be sure to explore our C-Class lease offers before stopping by.